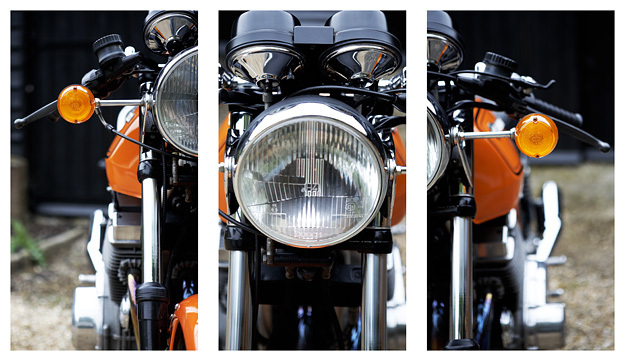 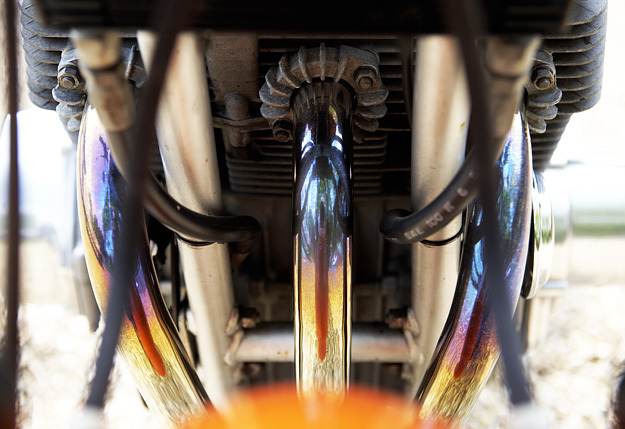 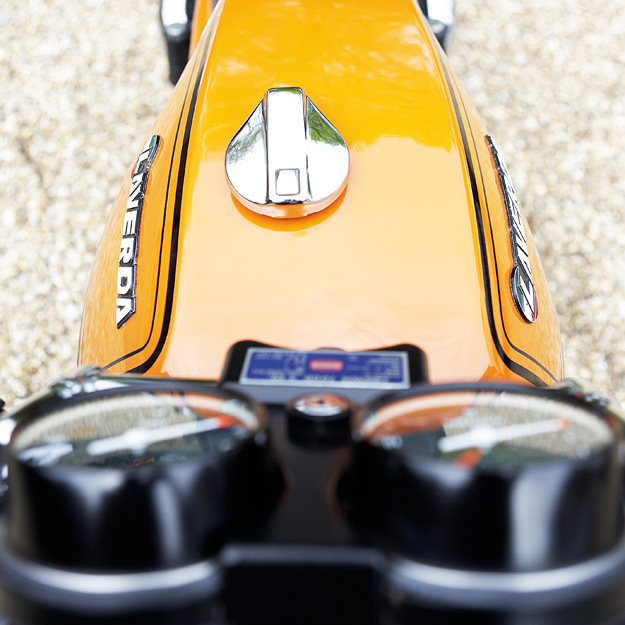 One of the great tragedies of modern motorcycling is the death of the Laverda name. 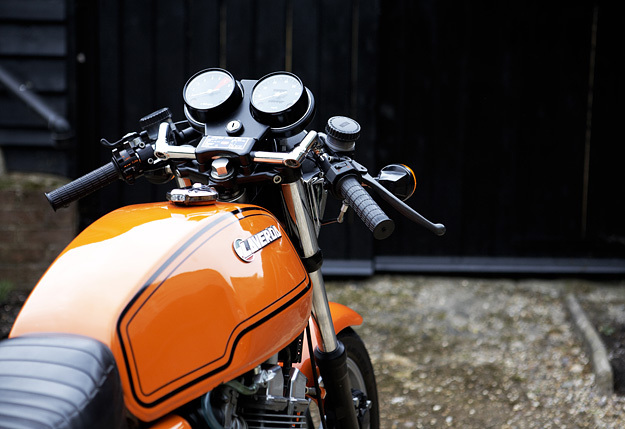 The brand was bought by Aprilia at the turn of the century—along with Moto Guzzi—but the familiar ‘SFC Orange’ has yet to reappear in showrooms. 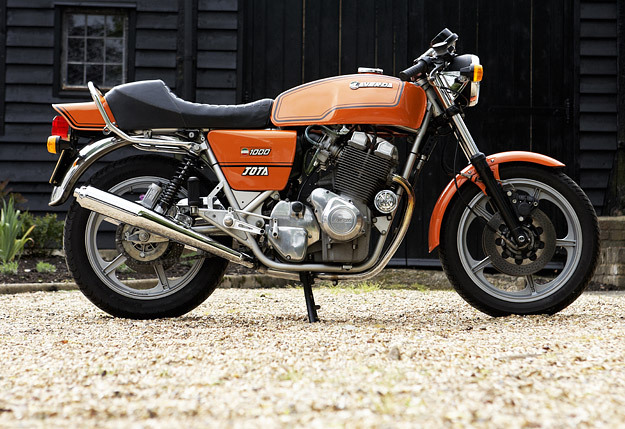 To my eyes, that lovely color has always looked best on a Jota, and this is one of the most immaculate Jotas I’ve ever seen. 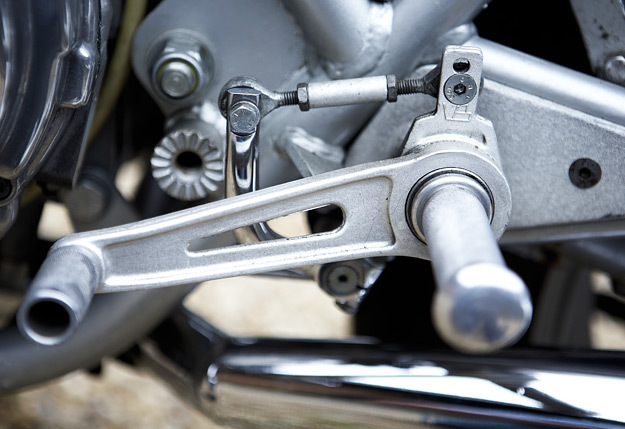 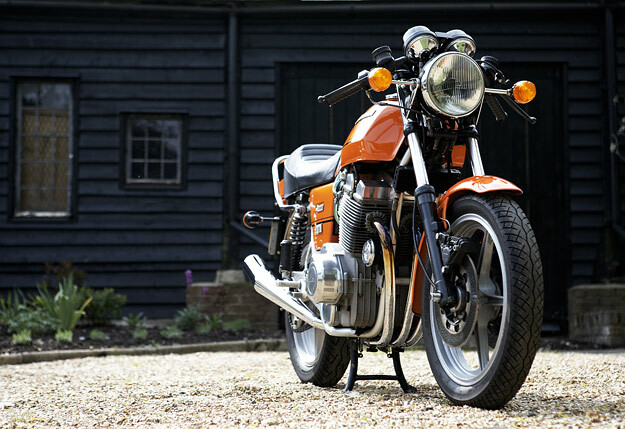 It’s another bike from the remarkable garage of English enthusiast Peter Bullard, a Laverda fan for over thirty years.